Looking to move a house? We know it’s stressful time with so many things to worry about, but with the right moving company to help you out, then you know you'll have full peace of mind. Moving to a new area is always a big step full of unforeseen stress and pressure so choosing the right company is important. This is why, if you’re moving to Bromley Common, BR2 you need an affordable, reliable and experienced removals company around Bromley Common to give you all the help you need and there is none better than Moving Service. Our company offers experienced, fully trained and professional staff who'll be happy to help you with all of your removal needs no matter how large or small it is. Whether you’re after a man with a van, if you need a storage facility for excess items or if you're after packing materials to do the move yourself, we have everything you’re going to need for the easy and stress-free domestic removal. If you want some more information, or perhaps a free price quote dependent on the size and scale of your move, then we're always available on 020 8746 4402 during standard office hours. Give us a call today so as you can find out about how we can make things easier for you during your house removals. We are based in Bromley Common in Greater London, which is an area of the capital around a road of the same name. The area may be found in between Masons Hill and Hastings Road and it is quite well connected to the A21. Traditionally, the area was used in the 1700s as a cricket ground, but it is now a residential area close to Petts Wood and Orpington. If you live here you are within postcodes BR2 and BR3. The area is on the route between Central London and Kent though locations such as Chatterton Road. Here you will find restaurants, shops, delis and other interesting places to visit on Saturdays. The Chatterton Arms pub (which is named after the 18th-century poet Thomas Chatterton) which has been a tavern for locals since around 1870. The area’s local authority has given 'Chatterton Village' a village status and the Whitehall Recreation Ground is a perfect place to take the kids. This in turn, along with the quite beautiful area and Victorian streets has made the region more popular with younger professionals looking to commute to work in the centre of London. This Bromley Common Moving Company is Ideal for Your House Move! Moving to Bromley Common, BR2 is much easier if you have the best removal company to assist you. It's a great place to live in and it’s important that you get off to a good start when you move. This is possible if you hire Moving Service to help you move without stress or difficulty and in the time that is convenient for you. 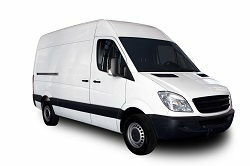 We offer man with a van services, teams of professional movers and removal vehicles in Br3 area suited to your required size dependant on how much stuff you're moving! We also have storage units available for hire from our company at cost-effective prices for any surplus items you might have. Our company can also provide you with the packaging materials you’ll need for keeping things if you require; plus we’ll get rid of the rubbish for you afterwards! Our full and bespoke quality service means our removals company has the solution you’re looking for. For more information and for a free price quote call us today on 020 8746 4402 and see how we can help you with the big day! We're a small company in BR2, looking for a dependable mover who handles offices removals. Based on word of mouth, we decided upon this mover. They were efficient and adept, paying attention to detail. We were impressed and delighted at their high level of professionalism.